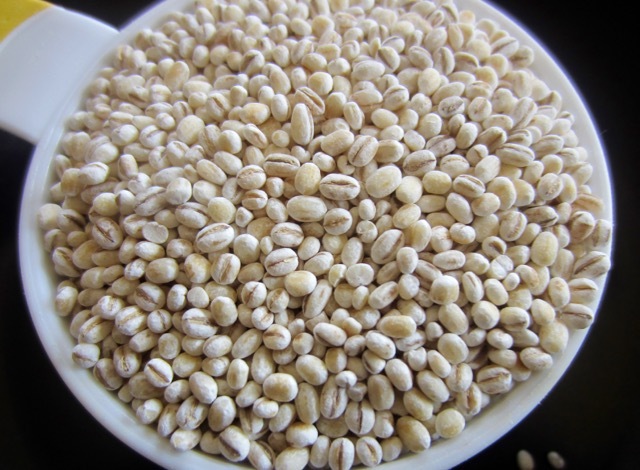 Pearl barley are barley grains have been hulled and the bran layer has been removed. 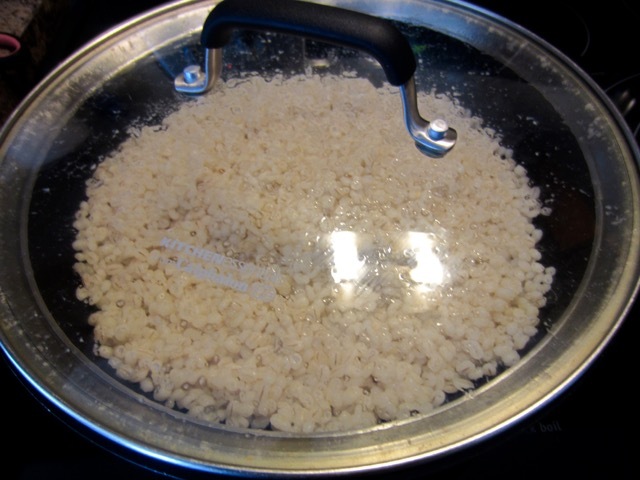 Because it’s not polished like white rice, the grains have a few brown specks and are ivory in colour. 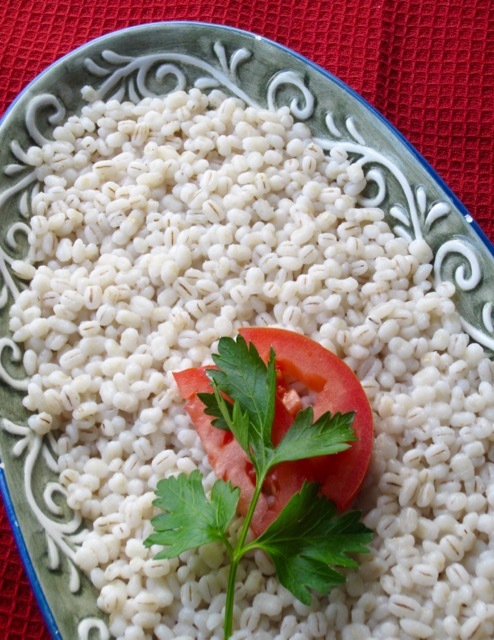 One cup dried pearl barley yields four cups cooked barley. 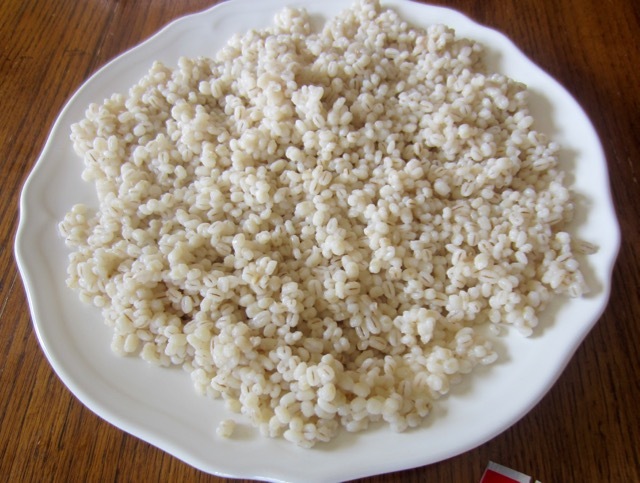 It can be eaten as a side like rice or cooled and used in salads. 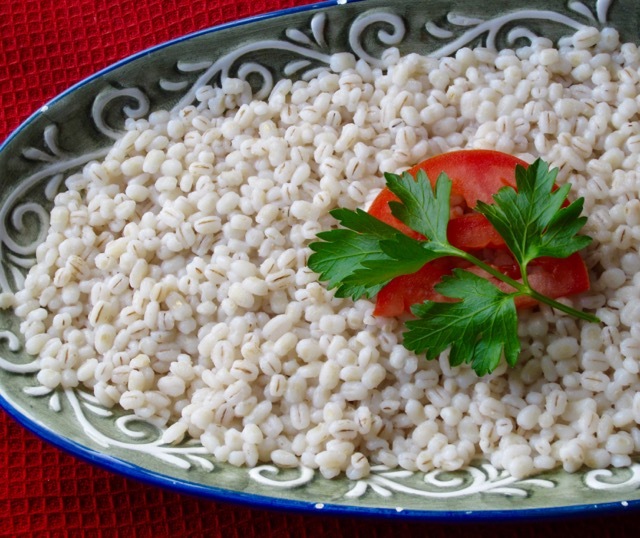 Wash the pearl barley until the water runs clear. 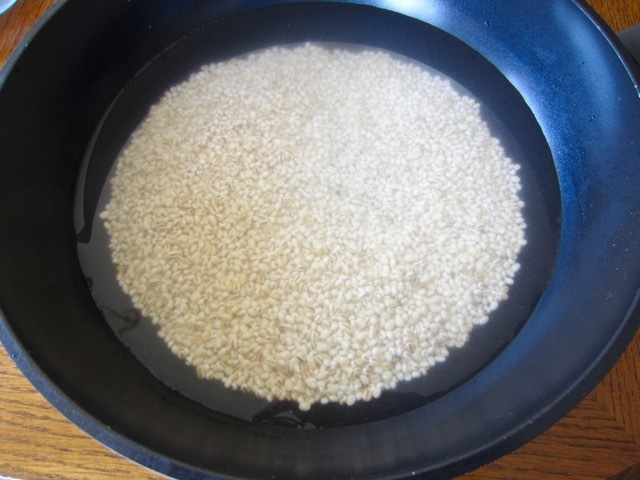 Put the washed barley in a pot. 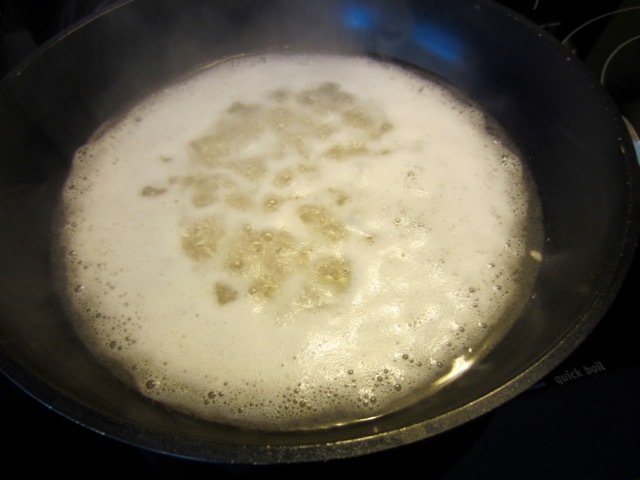 Add the water and bring to a boil on the stove top. 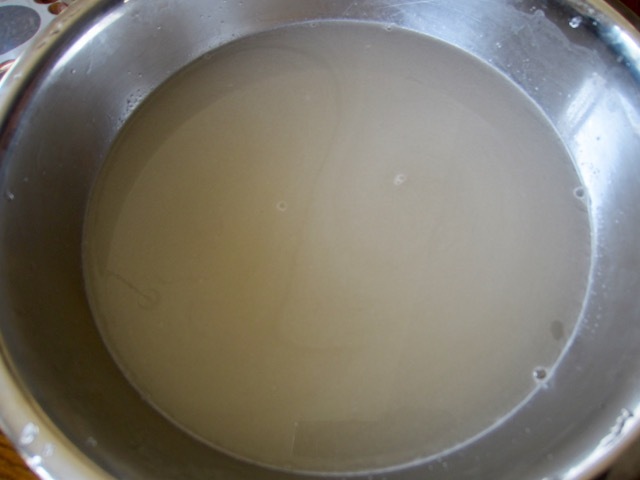 Simmer, partly covered, over low heat for 30-40 minutes, until the barley is tender to your satisfaction. It will however, always remain slightly chewy. 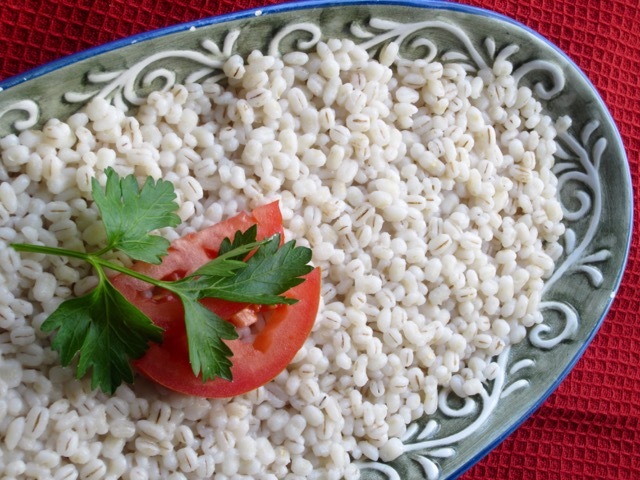 Fluff the barley and serve, if serving hot. This will give four cups. 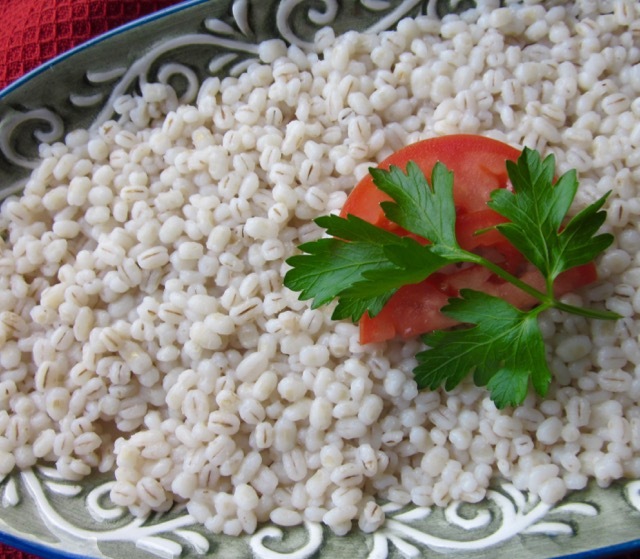 Please note that barley will always be slightly chewy, like brown rice. 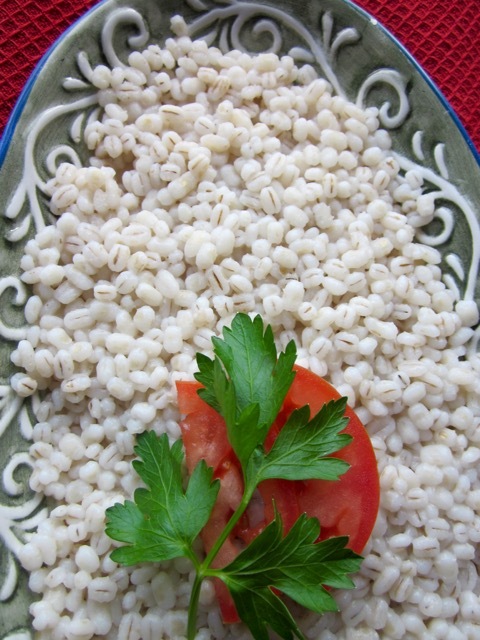 You can also use chicken or vegetable stock to cook the barley instead of water. If using it for salads, spread it on a large plate and let it cool completely. and bring to a boil on the stove top. Simmer over low heat for 30-45 minutes, until the barley is tender. The barley grains will plump up and yield four cups. They will always be slightly chewy. Prev What is Pitta Bread? 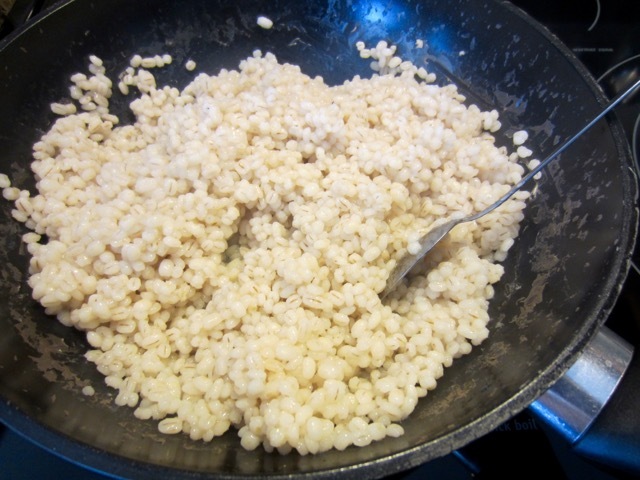 It’s also wonderful in soups and stews Liz (especially with lamb), and I’ve made ‘risotto’ with it too. Do you have these recipes on your blog? Ok next time I am making stew or soup, I shall remember to add some. Thanks for the tip!